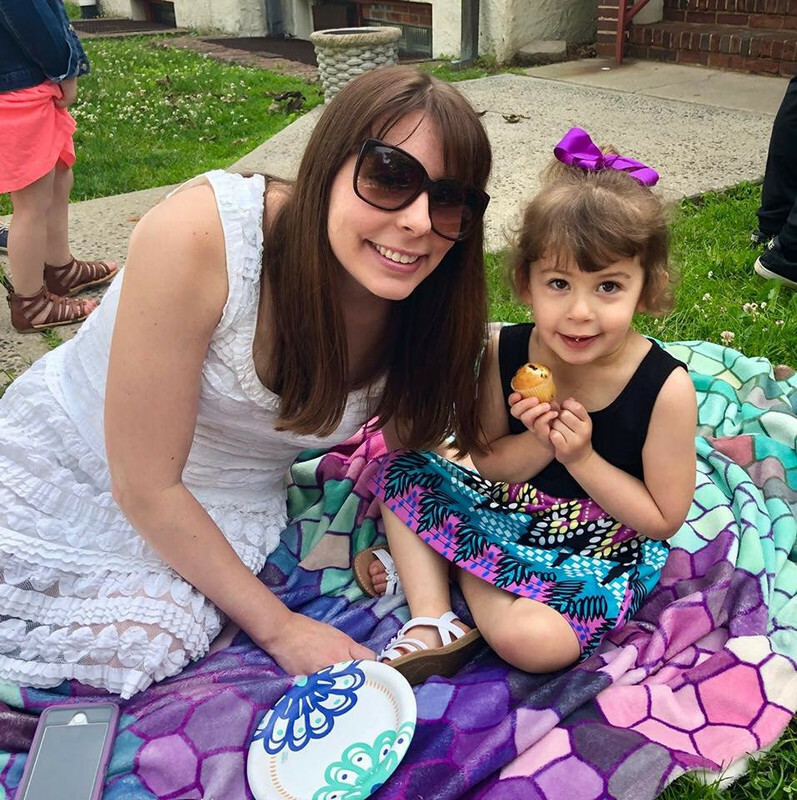 Sammi's Blog of Life: Make Your Mom Say Wow This Mother's Day from Downy! Make Your Mom Say Wow This Mother's Day from Downy! Mother's Day is rapidly approaching! Have you thought about what to do with Mom for her special day this year? How about a delicious lunch followed by a spa experience? Anything you want to do for her would be greatly appreciated. Delight Mom with a package that's just for her. Go ahead and recognize all of her hard work and everything she does for you. One lucky winner will win a Downy prize pack that will make Mom's Day! being on a fixed income she could really use all of this! My Mom deserves this because she has been fighting cancer! She over came breast cancer and now she has to fight uterine cancer for the 2nd time! She is the strongest person I know! My mom deserves this due to raising three girls and now dealing with our children. Mom deserves this because she's a single mom of six kids. I can't even imagine. Because my Mom works so hard everyday and never takes time to spoil herself! My Mom deserves to win because being a mom is just one of the many roles she plays! She's also a devoted sister who takes care of my aunt. As well as all the other roles she willingly takes on such as member of the Ladies' Auxiliary, Treasurer of both the Ladies' and Children's Bowling League in our area and she also helps with the National Bowling League Tournament! Finally she's an Administrative Professional for a company that doesn't realize how talented she is nor do they appreciate her enough! She has a lot of hats to wear and deserves some relaxation every now and again! Mom should win this because she takes care of her grandkids for me every weekend. My stepmom would love this prize. We could all go out to eat and she could snuggle up in her warm robe and read her fav books. Thanks! She raised 5 kids all by herself and they turned out great! She gave up so much for them and now it's time for her to enjoy herself! mom's always putting everyone first - she deserves some pampering! My mom deserves this prize because she has always been there for me and never does anything for herself. My mom is no longer here but i am now a grandmother and this would be great for my daughter who is a first time mom. My mother deserves this because she puts up with me and my brothers. Mom needs this to make her life a little easier. I am Mom. My niece is a working mom of three and could use a little pampering. I'd love to win this for myself, honestly! I am pregnant with my 4th baby and it's been rough. I could use some pampering. Thanks! My mom is a hard-working, loving woman who deserves a special gift and night out. my mother died 9 years ago. this would be for me 'from' my son! My mom is no longer with us but this would be great for my daughter who has two stepchildren and could use a break. She's always making sure everything gets taken care of and everyone is happy but few take the time to think about her enough. My mom deserves this as she has always given so much of herself to others to help out. My Mom deserves to win this because she has always cooked and cleaned and took care of us 8 kids when we were growing up and because she is such a loving and wonderful Mom to me! my mom has been through a lot this year, my husband lost his job and she allowed us to move home with our two kids, never complained and even helped us move into our new apartment when we both found work! My mom deserves this because even through her past and present serious medical conditions, shes the most positive and unselfish person that I know. My mom is a selfless, amazing woman. My mom deserves this because she the most selfless person I've ever known and hardly splurges on herself. She's always donating items and/or money for the needy, which is her top priority at this stage of her life. My mom works very hard at two jobs (one full time and one part time) She does anything for her kids and grandkids. I would love to spoil my mom. My Mom is an incredibly selfless individual who never treats herself to anything. This would be wonderful for my mother who at 82 has survived two aortic dissections. She also lives to take care of her grand children. She is the first one who wants to be around them and enjoys going and doing things with them and for them. She and my father have been through a lot health wise themselves but they have also been their as I was going thru a serious health issue and one of my sisters was going thru cancer (she is now 13 yrs out) and she was therefor my young niece while my niece was in the hospital with a heart aliment. She deserves to be pampers and tended to. Mom deserves this because she always put her children first. She has sacrificed much to see that we never went without. My mom passed 6 years ago so this would be for my sister. She has MS but that hasn't stopped her from helping to raise her grand-daughter. It's really hard on her physically so she would really love this. Mom always does so much to help! She could use a little luxury! I'd love to win this for my Mom. She deserves some pampering because she is the hardest working person I know and never just takes time or does anything just for herself. My mom deserves this cause she always makes sure everyone in the family has everything they need, and she is our huge support system. She holds everything together. My mom deserves this because she is always there for everyone in my family. My mom had a rough year and this would be nice to cheer her up a little bit. My mom deserves this because she has been married almost fifty years! My Mother in law totally deserves this prize. She has helped us out so much this past year. She was the one who was there for us when we fell on hard times. What a great way to say thank you to her for all that she has done for us. We love her very much. My mom could use this because she is living far from home now so she can help my brother with his little one. My mom has passed but I could really use this. I'm sure every mom is like this but I don't do anything for myself. It would be nice to have a something nice for myself. lol Thank you! My mom deserves this because she's always putting others before herself! My Mom is the kindest, most caring and unselfish person I know . She is hard working and definitely deserves this. Hello! What an amazing fun giveaway! Any mom who wins this will be super lucky and thrilled. I know I would be jumping up and down saying: Thank you for picking me! My mom takes care of her mom and my kids! Mom deserves this because she always does things for others, I want her to eat at her favorite restaurant (olive garden) and then spoil herself with starbucks and these other goodies. My Mother is a loving, honest woman who deserves something like this. My mother has passed away but I would like to be able to win this for my daughter. She really deserves it. She is the best mother! My mom is so amazing..she always puts others before herself and is always willing to help others! She has been a teacher and mentor to many many people! I deserve to win this because I've been doing my familys laundry for years and I deserve a BEAK!!!! or at least a rreward!!! She's one of the most selfless people that I know. I'd like to win for myself, I'm a mom and could use these for my own family! Mom deserves to win this because she works hard all year round. She's always there for me. Making things easier for mom is always a good idea!! My mom deserves to win this because she has always been there for me. She is also an amazing grandmother to my children. My mom raised 3 kids as a single mother. She never missed a school play or track meet. She always took time off for us, so we knew she thought we were important. She has always been there for me and she still is. She is a very strong woman that deserves a little pampering. My Mom deserves this because she works hard volunteering and helping others all year. My mom deserves this prize pack to pamper herself, she works hard and takes care of our family. Unfortunately I no longer have my mom or mother in law but they were both amazing women. I think I deserve to go out for dinner because I want to celebrate the birth of my newest grandson who was born on the 26th. My mom deserves this because she needs something to encourage her to take a break & take it easy for once! She is always so busy trying to take care of everyone else...she needs some pampering herself! my mom deserves to win this because I love her, but also because she has been a big help running around for me this past week since I had shoulder surgery and can't drive or do a lot of things myself and hubby is working out of town and my daughter is in school all day. My mom works two jobs and is always doing for others. My Mom works so hard, she is working full time and going to school She could use it. Mom is love and love deserves to win it all. My mom is such a hard worker and giver...she deserves some pampering! Because she does so much...it would be nice to give her something. My mom has had a rough year of it. I would love to surprise her with something nice! My mom deserves this because she is always there for us and never really treats herself. My mom deserves this because she is the hardest working and kindest person I know. My mom loves bathrobes and she would absolutely love this. She just lost her job and this would perk her up. She's had to put up with a lot from work lately. Because she is such a good person and lately hasn't been feeling well. I'm the mom and grandmother (my mom has passed). I think I deserve it because i love and babysit my little grandbaby. I also am my dad's caregiver (and the way he is, I feel like I have to treat him as if he were my kid). My mom deserves this because she works really hard. Mom is a role model and a wonderful person. She'd love this. My mom passed away not long ago so this would be for my mother-in-law. She deserves to win as since my has been gone she has given me so much support and strength through the hardest time in my life. She has always treated me like a daughter and I love her so much for that.